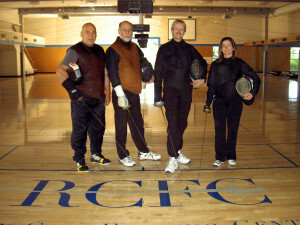 Rain City Fencing Center was founded by Barbara Todd Heiner, Steve Colton and Greg Jones. We opened our doors in May 2000 with Maestro Garik Balayan on board and only a handful of students. Since then we have taught thousands of students to fence through our classes, summer camps and school programs. Our competitive program has also grown, with many Rain City fencers competing on the local, national, and — occasionally — international levels. 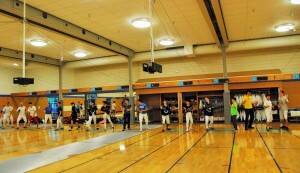 Rain City is now recognized as the premier junior fencing program in Washington State. In our new facility, we are able to offer more opportunities for kids and adults to learn to fence. By sharing our expertise as well as our love for this sport, we hope to help each fencer reach their goals. While we will continue to focus our efforts on training junior and youth fencers to succeed at the national level, we want to see fencers of all ages and ability levels reach their potential.